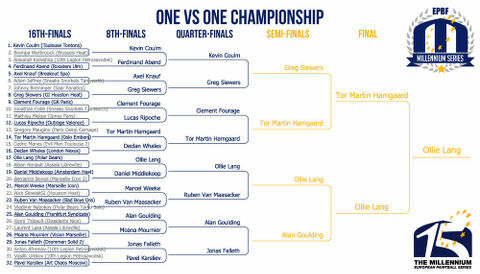 1 ON 1 COMPETITION - MEDITERRANEAN CUP! Take the opportunity to play on the centre stage, against top players, live on the MSTV Webcast and walk away with a €1000 cash prize and trophy! 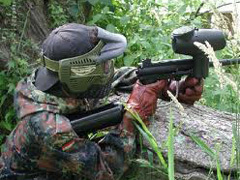 Entry is only €30 per player. Registration opens at 5pm on the Friday - first come first served! Opponents will randomly been drawn at time of registration. Our 16 CPL teams have the option of a guaranteed place in the first round - names are coming in for those now.............. fancy a go against one of these?! 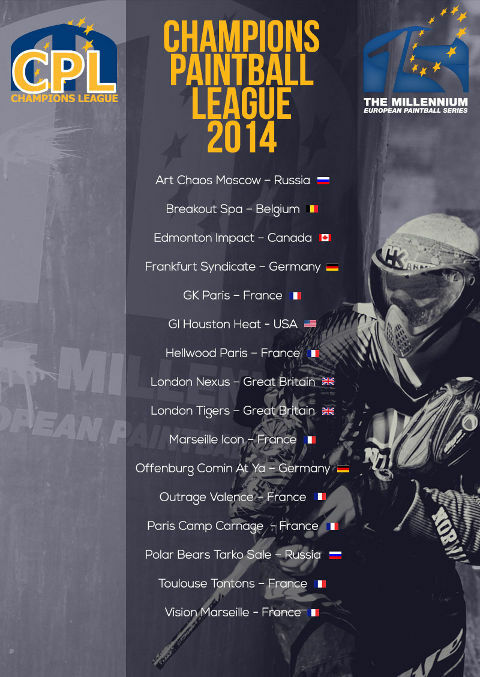 "After a long break, we are happy to be back competing in the Millennium Series. 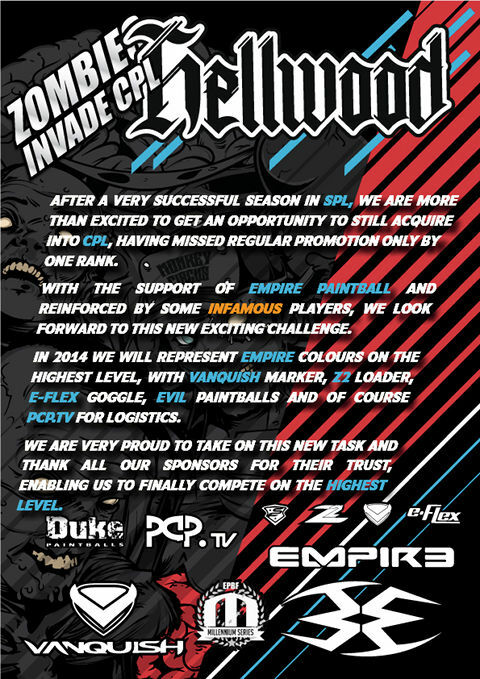 This is only possible with the help of our great supporters: MAXS Sport, Paintballer.at, Paintballactionpark.at, Virtue, MacDev and Draxxus. 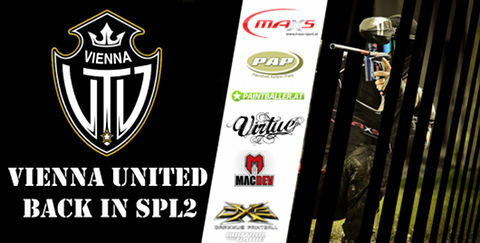 Vienna United has always been a well known team and we hope to fulfill all expectations. We wish all teams the best this season! 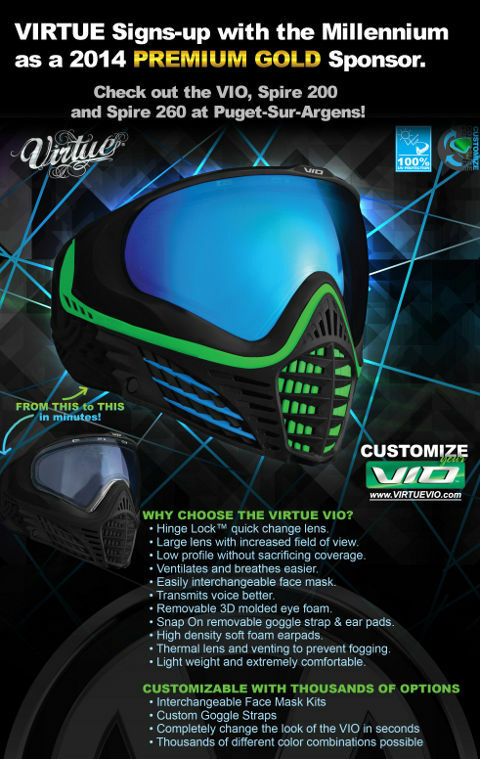 Feel free to follow and support us on fb.com/unitedpaintball"
Hellwood Paris join the CPL! 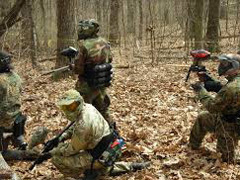 Woodsball returns to the Millennium..................are you ready for the MAYHEM of battle? 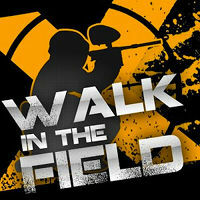 The Layout "Walk In The Field" for Millennium Series Ltd Puget-Sur-Argens [France] is available now! Discover the layout of the 1st event of the Millennium series 2014 and become familiar with the field from your couch! 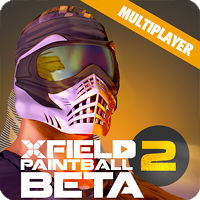 Stay tuned... their multiplayer video game “Xfield Paintball Game 2” is already available on Android and will soon be released on iOS! 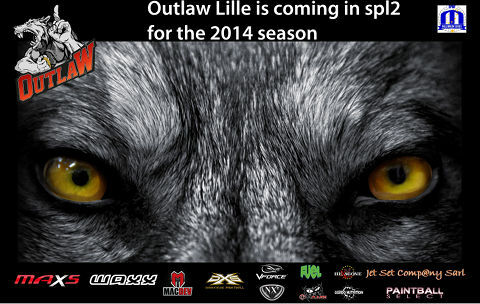 "Outlaw Lille is a French team from the north of France. The team consists of motivated players gathered around the same objectives and the same passion. 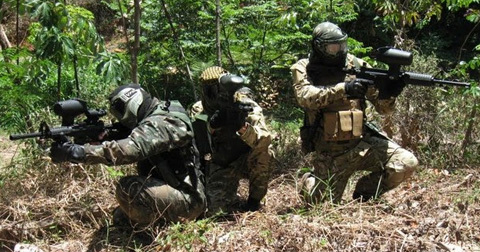 Since 2011 the team has trained hard and participates at many regional and national tournaments in order to better prepare for international tournaments. This wouldn't have been possible without the guidance and the determination of the coach Julien Pilate, the real pillar of this team. 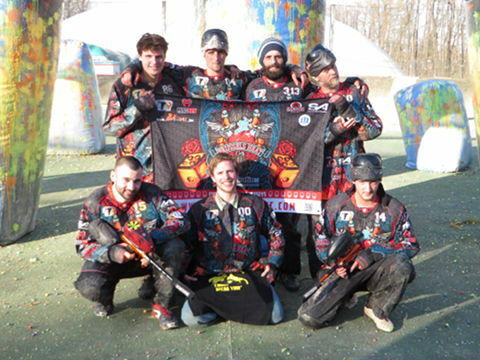 You can follow and support us on Facebook : www.facebook.com/pages/Paintball-Team-OutlaW/256573097706719"
"Brussels Heat are proud to announce they will compete in SPL2 this season. After a first year under the name of Apocalypse Brussels seeing them winning the 2 first events in Div 3 and a place of runner-up of the overall series, the team has decided to take the plunge. In order to succeed and match our new objectives, the squad has been strengthened this winter by experienced players from some of the best Belgium teams. Our goal this season is to follow the path of Breakout, becoming a stronghold in Belgium and a recognized team on the European scene…At our level of course. Even if we still have to learn, we will do our best to develop an enthusiastic and aggressive play style. We hope our cocktail of young talented players and experienced older players, will lead us to success and will carry on the highest steps the colors’ of our sponsors : Brainball Fields in Brussels (Belgium) and Sport Attitude. We are already very excited to discover this division and proud to compete against well known teams like Nexus 2, London Tigers 2, Man firm, Dynamix, Scalp, …"
Entrance to the 2014 Mediterranean Cup is, as always free and open to the public from 4th to 6th April 2014. A large grandstand will be available to watch games on the CPL field from, on all 3 days of the event. This grandstand will be divided into 2 sections. The lower tier is open and free, throughout the duration of the event, to all persons with a Millennium Series ID wristband. This includes players, pit crew, sponsors and media. No tickets required. The upper “VIP” tier is available to book for visitors without a Millennium ID. To watch any games from this section you will require a ticket. Upon purchasing you will receive confirmation by email. Tickets can be collected from the grandstand entrance at the event. Please ensure you bring your email confirmation with you, in order to collect the tickets. Tickets can also be purchased on site, but to guarantee seats we would advise they are purchased in advance. Find more information for spectators at www.millennium-series.com/events.php?event=spectators.